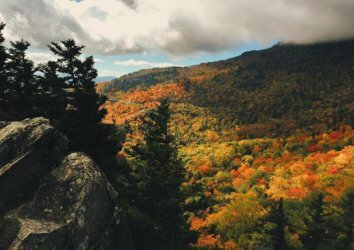 With over 800 miles of hiking trails, the Great Smoky Mountains National Park boasts some of the best hiking in the country. 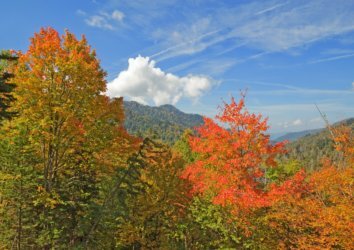 Every year, hiking aficionados and novices alike visit the Smoky Mountains to take in the gorgeous rushing waterfalls and local wildlife – not to mention the warm oranges and reds of the changing autumn leaves. 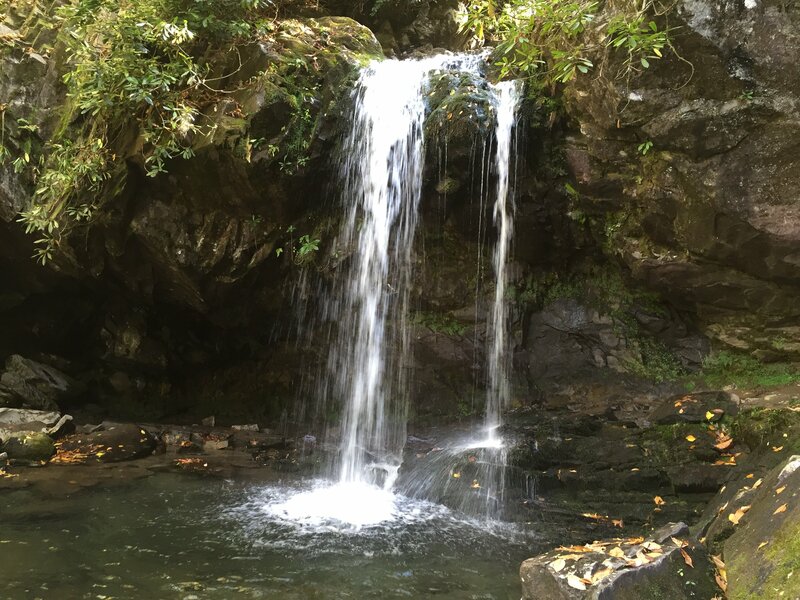 Today we’ll tell you about some of our favorite beginner-friendly Smoky Mountain hikes that still pay off in the form of waterfall vistas, trickling streams, and serene wooded forests. Hearing the siren song of the Old Mill Creamery? 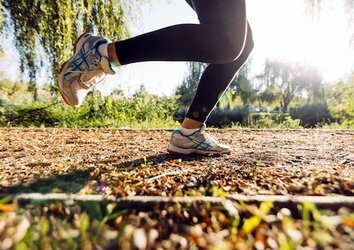 Don’t worry: These short, sweet hikes will have you back in plenty of time to get that scoop of Whiskey Ribbon before dinner. 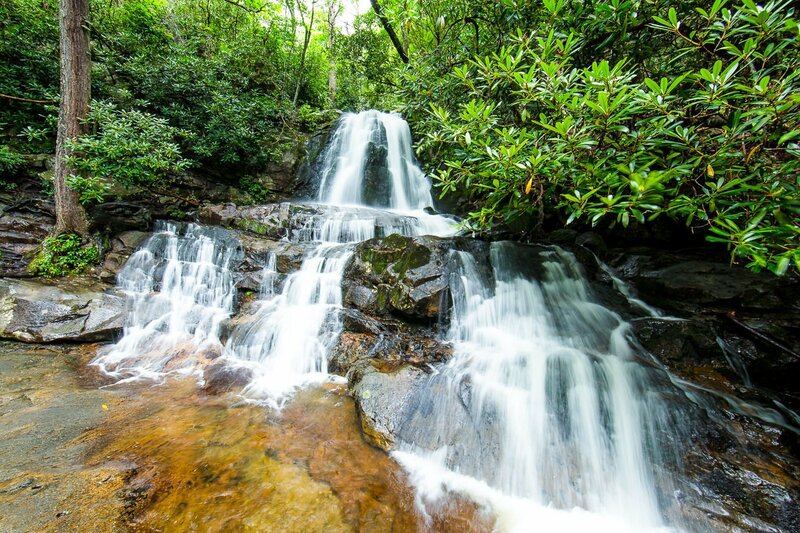 The Laurel Falls Trail is the most popular hike in the Smoky Mountains, and for good reason: The 2.6-mile trail is relatively easy and pays off handsomely in the form of the rushing Laurel Falls, an 80-foot waterfall with an upper and lower section, bisected by a walkway passing over the Laurel Branch stream. The trail is completely paved, making for steady footing, and the elevation gain is a not-too-bad 314 feet. 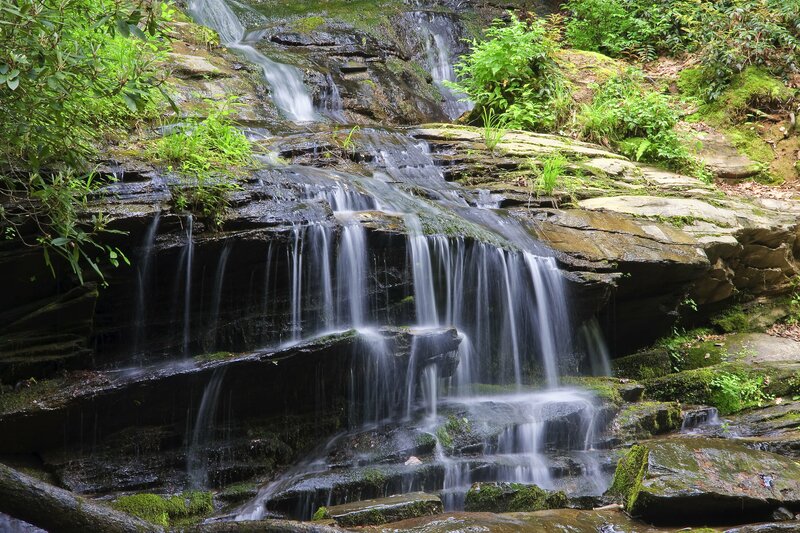 Less than two miles from downtown Gatlinburg, the Cataract Falls Trail will make you feel like you’re worlds away. At only 3/4 miles roundtrip, it’s a superb option for groups traveling with kids or those who have trouble walking long distances. 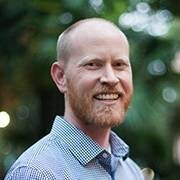 You’ll cross a bridge to pass over Fighting Creek, have the chance for a photo opp in an old hollowed-out tree, and take in views of the 25-foot waterfall leading into a picturesque pool (most impressive following a good rain). Note that there is a small set of stairs on this hike. 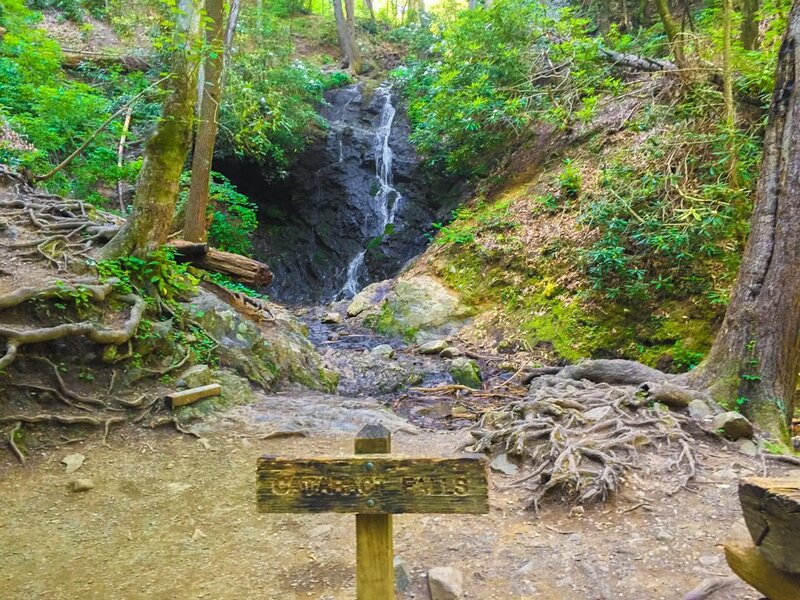 Think of the Grotto Falls Trail as your enchanted forest hike. A slightly longer trek at 2.6 miles roundtrip, the hike to Grotto Falls promises a peaceful walk through an overgrown forest, light filtering through the pines. The hike culminates in views of water plunging into a rocky pool at Grotto Falls. 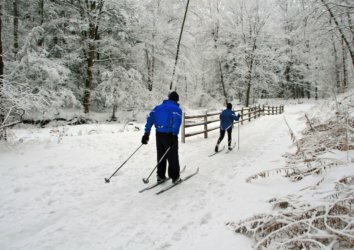 Careful: The footing here can get a little slick. A pleasant 1.6-mile roundtrip hike on Deep Creek Trail yields views of two incredible waterfalls. First, follow Deep Creek Trail 0.7 miles to where it joins with Indian Creek Trail. You’ll see the dramatic 60-foot Tom Branch Falls. Turn right onto Indian Creek Trail and proceed another 200 feet and you’ll be treated to views of the 25-foot Indian Creek Falls. This one’s perfect for hikers looking for easy access and easy hiking. 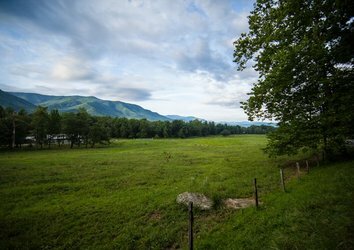 A 1.9-mile paved trail that begins at Sugarland’s Visitor Center, Gatlinburg Trail is one of only two paths that allow bicycles and dogs. 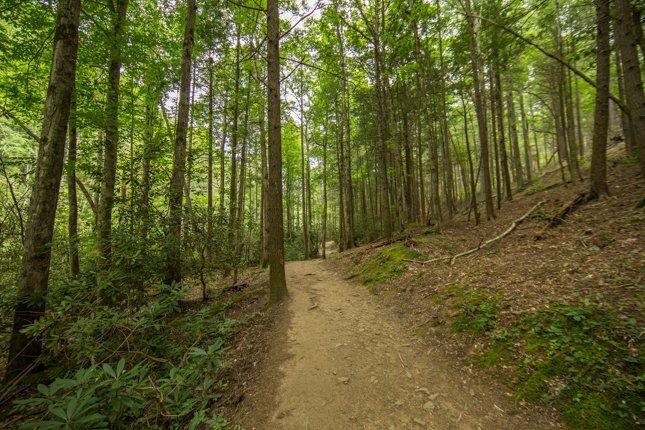 Running parallel to the Great Smoky Mountain National Park, Gatlinburg Trail crosses a pedestrian foot bridge and offers mostly flat, easily traversed terrain. You’ll be treated to views of the river, as well as chimneys of several old homesteads. 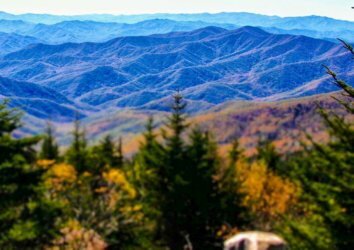 Need a place to call home during your adventures in the Great Smoky Mountains National Park? Browse our listings here.